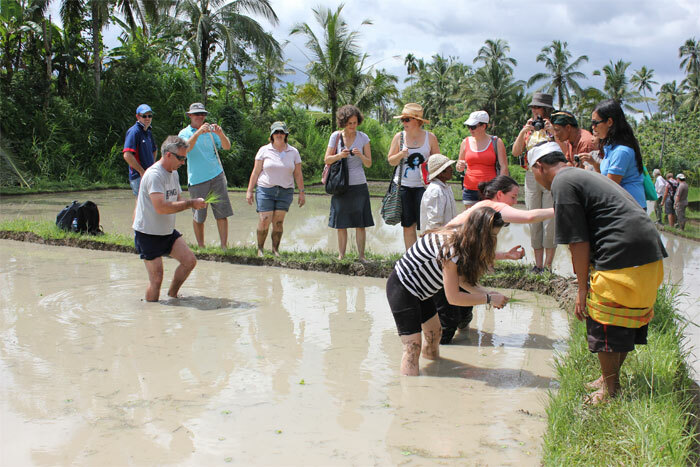 This program features Balinese traditional farming activities, including preparing the land, plowing the rice fields, preparing the seeds, planting and harvesting the rice. You will be invited to try or directly get involved in every process. 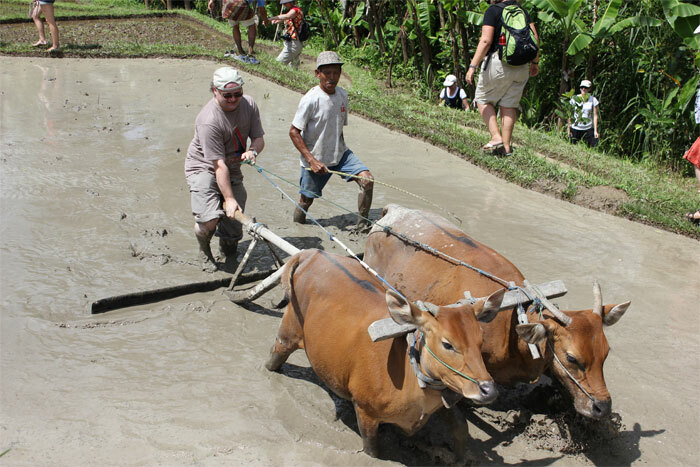 We only use traditional agricultural equipment in this program. If you join this program during the kite flying season, you will see dozens of children flying their kites, catching eels with their hands and playing other traditional games. 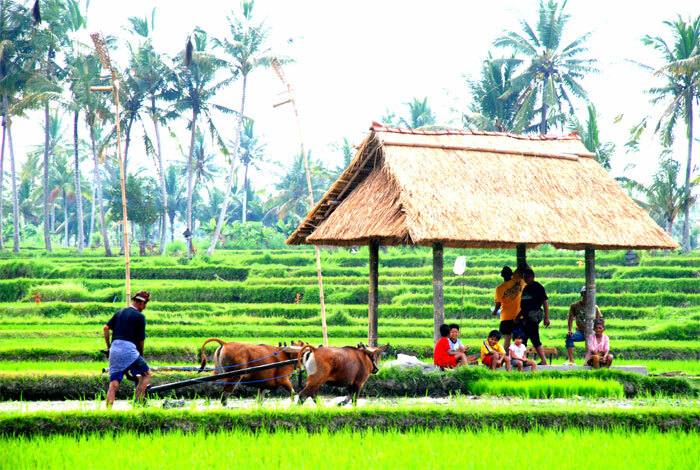 Subak is the name of water management (irrigation) system for paddy fields on Bali island, Indonesia which was developed more than 1,000 years ago. 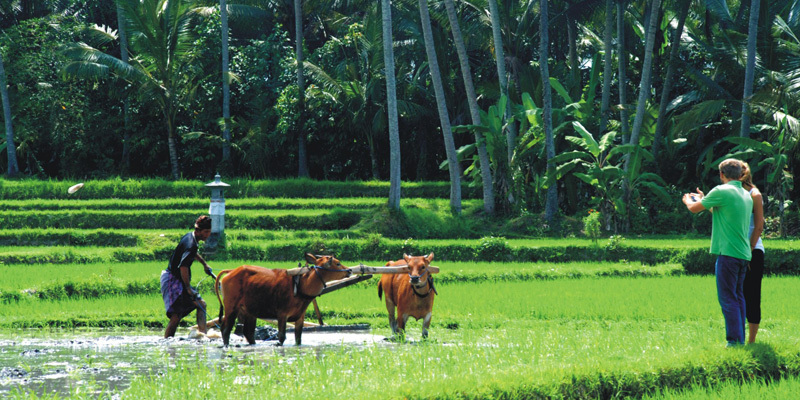 For Balinese, irrigation is not simply providing water for the plant's roots, but water is used to construct a complex, pulsed artificial ecosystem. 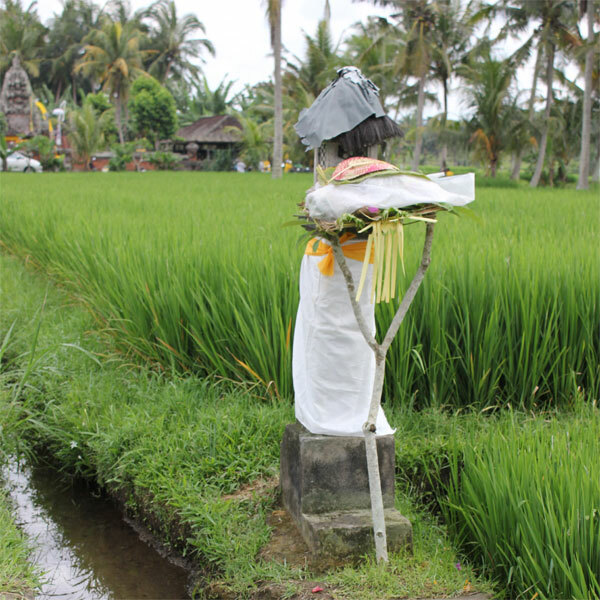 Paddy fields in Bali were built around water temples and the allocation of water is made by a priest. 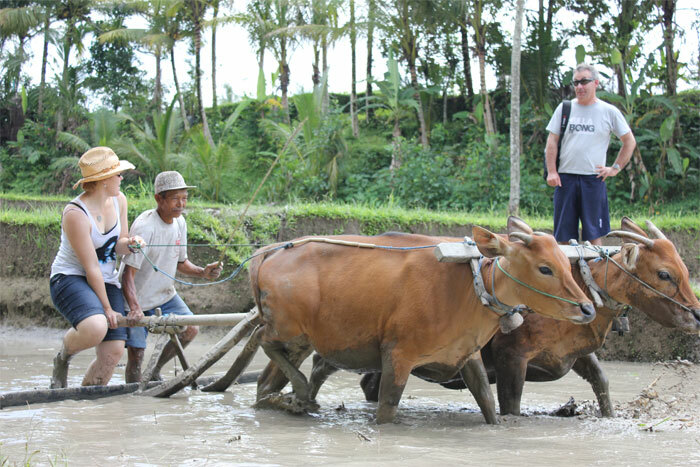 Subak is a traditional ecologically sustainable irrigation system that binds Balinese agrarian society together within the village's Bale Banjar community center and Balinese temples. The water managements is under the authority of the priests in water temples, who practice Tri Hita Karana Philosophy, a self-described relationship between humans the earth and the gods. Tri Hita Karana is related to an ancient method followed in India by rishi's of Hindu Religion.